Located in the heart of the South is an 18-hole, par 71championship golf facility. A public course with private elegance. Eagle Point is the perfect retreat for every level of golfer. The course features bent grass greens, tree-lined Bermuda fairways, and a rolling terrain that offers a fair challenge to golfers of all skill levels. A combination of true southern character and charm. Please call 205-991-9070 for current rates. 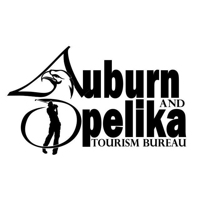 Call 205-991-9070 for rates and tee times. Contact Eagle Point Golf Club at 205-991-9070 for more information and details on holding a golf outing at the course. Contact Eagle Point Golf Club at 205-991-9070. Contact Eagle Point Golf Club at 205-991-9070 for onsite or nearby dining options. This profile was last updated on 11/19/2018 and has been viewed 8,667 times.